FUN AND FITNESS THROUGH DANCE! 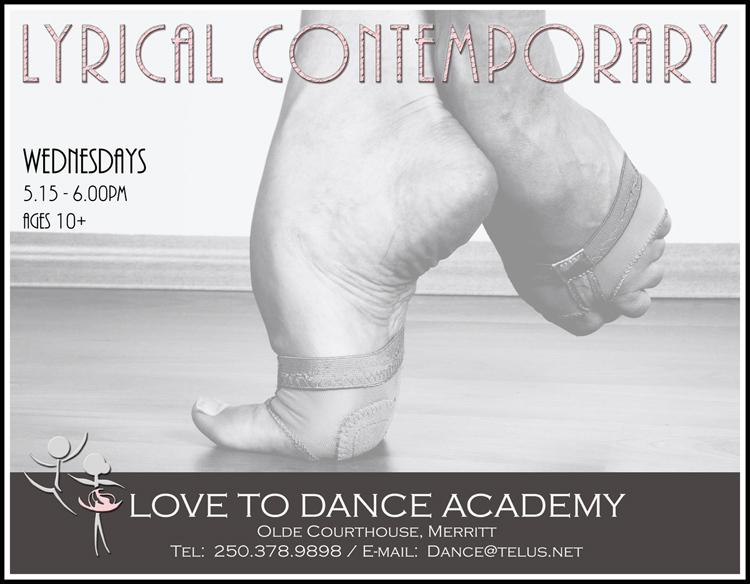 Join us at the NEW Love To Dance Academy Studios @ 1976 Quilchena Avenue, Merritt. Enjoy tea, coffee and snacks while you browse our new studio and enjoy our demonstration classes. Support the Love To Dance Academy fundraiser. Mini yard-sale and Dance Gifts table. Support "Abby and Megan's New York Ballet Adventure" fundraiser. We would like to invite ladies of all generations to join us for the Love To Dance, Mother-and-Daughter "High-Tea". Decorate your table to create a special memory while amongst family and friends. Fun Dance Class for Total Beginners… Even those with Two Left Feet! Are you between the ages: 3 - 18? REGISTER NOW for Spanish Dance Classes. Join us for the 2016, Love To Dance Academy, Christmas Concert Photo Day, hosted by LTD & V22 Photography. WIN with Love to Dance! We would like to invite all individuals inspired by nature, to submit a poem, influenced by Clouds, Eagles, Lightning, Ocean, Oxygen, Pollution, Rivers, Thunder, Volcanoes or Wind. Winners will receive two front row tickets to the evening performance of the 2016 Christmas Concert titled: "Nature on Stage," where their poems will be recited by our narrator, accompanied by a local musician and some of the Love To Dance Academy Dancers. Poems will also be recited during our afternoon matinee performance. Min 100 words. Max 250 words. Min 12 lines. Max 24 lines. Click here to Submit poems via E-mail, on or before October 15, 2016. Subject Line: 2016 Nature Poem. Submissions will be verified to ensure authenticity. 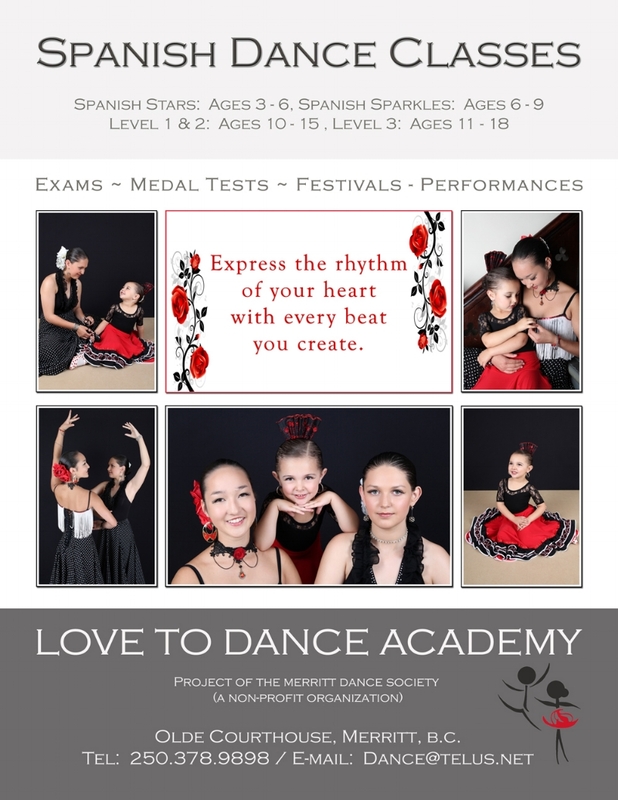 The Love To Dance Academy has been invited again to be part of the annual "Merritt Country Christmas". A wonderful opportunity for all LTD students to perform on stage in the Civic. Dance Students will be performing set LTD Medal Test dances in front of two judges. Students who would like to show off their creativity may, in addition to the set solos, also present their own choreography solos.